I will continue to update this post just like the past few days so you don’t get bombarded with notifications as coverage is released throughout the day. The Camera Store TV seems hopeful that the Sony a7RIII will be an a7RII without the limitations and so far all the coverage seems to point in that direction. Of course, the inevitable comparison came and it came first form imaging-resource with eye crops from the Fujifilm GFX 50s, Nikon D850, Sony a7RIII, and Canon 5D Mark IV. 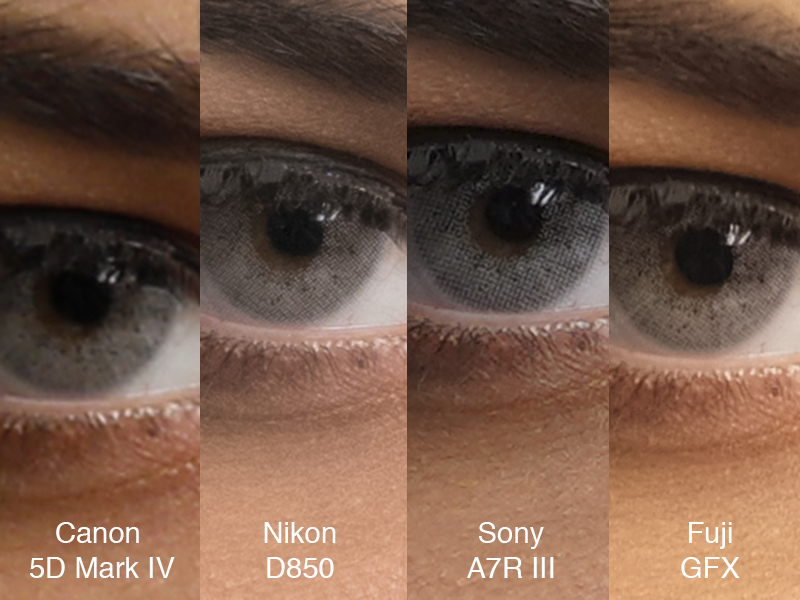 It looks like Sony’s eye AF is really paying off in this comparison photo, which isn’t surprising, but I would like to see the test without contacts in the models’ eye. The differences in the above image really seem to come down to AF and familiarity with AF, which becomes a non-issue with Sony on the a7III due to eye AF. Join our Sony a7 Owners Group, also follow SonyAddict on Facebook and Twitter.